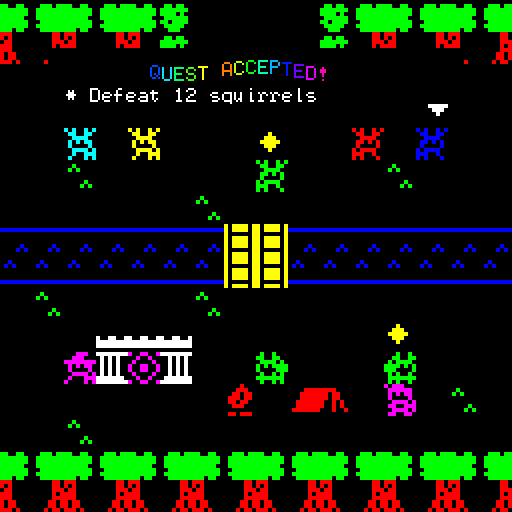 An MMfaux in the style of the ZX Spectrum and BBC Micro. Controls are with the arrow keys or swipe on mobile. There is only one "exit" tile in the game - the only way to end it is to log off in the lobby. Make sure you speak to Questo the Great in the town square, as he will give you the quest for your daily LOOT COUPON. 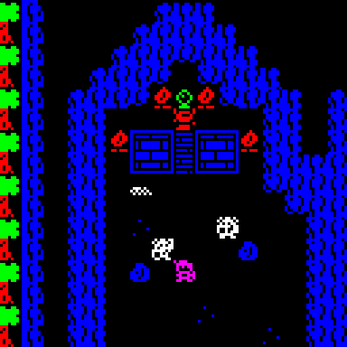 There is a portal room in the south-east part of Shinebright City, in the Oracle Order's area. Made with Bitsy Game Maker by Adam LeDoux. Vital playtesting thanks to David Weaver, Em and Onion. Some of the art would have been impossible without Aseprite! The amount of work you must have put into this game is incredible. My one complaint would be that movement is a little bit slow on mobile, but that didn’t stop me from enjoying this great game. (Also I noticed one typo - the guard on the right of the entrance to the castle says stricly instead of strictly). How am I supposed to cross the barrier with a 5 member party? D: Is it just an inaccessible zone? Yeah, I'm afraid it's just a throwaway gag. You don't have to worry about anything to do with the secret ending being hidden back there at least. Are you just teasing? >_>"
The game was really entertaining, nevertheless. So much dialog and a lot of it was funny! Sure, please attribute and link back to the game. 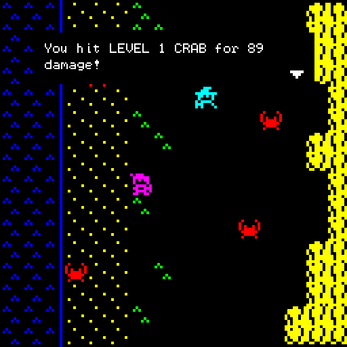 When I get back from Rezzed I'll be cleaning the tileset up and releasing it separately in easy to import formats. THIS IS SO GOOD!!!!!! ITS SO AMAZING!!! ITS BEEN SO COOL SEEING UR WIPS FOR THIS GAME!!!! and oh man this is so much fun!!! i'm really terrible at MMOs and stuff so this like rly makes me feel less of a noob and i really like the experience and just the chill nature of the game! honestly this is so huge and amazing and so many npcs and just its so believable to me! and just all the little details are soooooooo good!!!! honestly this is a huge blast!! its just so AMAZING!!! I'm so amazed by how much care you put into this game. I mean there's like a hundred NPCs, all with their own unique dialogue. That's crazy! There's so much to praise about this game, I'm really impressed.